January 12, 2016 January 13, 2016 / Elizabeth T.
It’s been awhile since I’ve done a skincare product review, what with all of the holiday posts and everything, so today, I’m finally back with a review of one of my most recent beauty finds – Nature Republic’s Super Square Max Moisture Watery Cream! Wow, that was sure a mouthful hahaha! 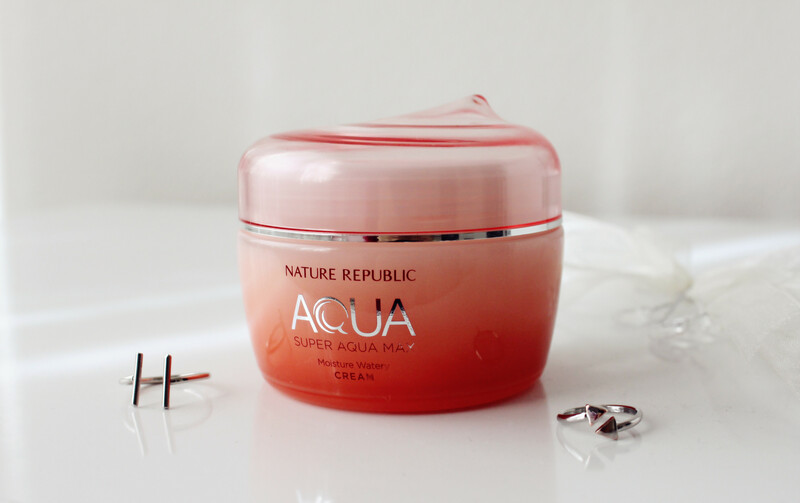 First of all, for those of you who don’t know about Nature Republic’s famed and esteemed Super Aqua Max Watery Creams, they come in three options – the Fresh cream, Combination cream, and Moisture cream. The Fresh cream is for individuals with oily skin, while the Combination cream is for those who have more normal and/or combination skin, and of course, the one that I’m going to be reviewing, the Moisture cream, is for the dry skin peeps out there! This is actually one of my favorite aspects about this line from Nature Republic – the three different creams means there’s an option out there for everyone! 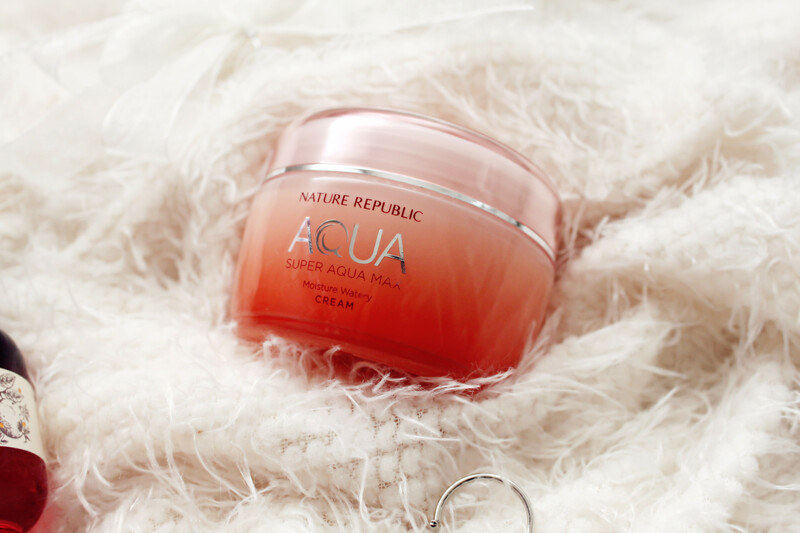 Now moving on to the details of the product… Made with rich deep sea minerals from Hawaii’s Kona sea water, the cream includes 30 kinds of moisturizing sea ingredients which penetrate quickly into the skin, providing ample moisture and hydration. The cream utilizes an aqua holding system that gives a moisture-pack-like hydration shield that lasts for long hours throughout the day, providing soluble collagen and lecithin ingredients to give dry skin nutrition and moisture for an overall healthier complexion. True to its boastful list of skin benefits, the Max Moisture Watery Cream feels very watery when first applied, but it also absorbs really fast, giving skin such a silky feeling throughout the day. I love how quickly the skin absorbs it. For those who are very opposed to that “sticky” feeling of moisturizers, this cream is definitely a great choice for you! The skin literally drinks it up, and it doesn’t feel sticky or greasy at all despite the Max Moisture version being the “heaviest” formula amongst the three choices. It also smells very fragrant and fresh, a scent that I’ve really come to love. It’s a light floral scent that’s very subtle and feminine, and even for those of you who usually avert scents, this moisturizer’s light fragrance will be doable because it’s very fresh yet understated. 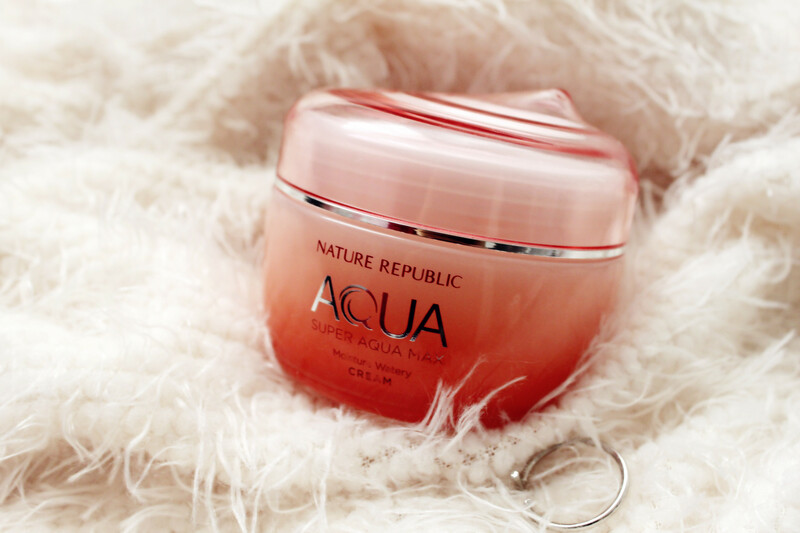 I hope you all found my review of Nature Republic’s Super Aqua Cream helpful. Have you ever tried it? If you have, what do you think about it? And if not, what moisturizer are you currently using? Let me know in the comments! I’d love to hear from all of you! Thank you Tess! 🙂 Glad you liked it! Great review! I might give it a try! Thank you Chiara! 🙂 Glad you liked the review! I’ve never heard of this! I’ll have to try it now! Yes, Nature Republic is fairly new, but their products are pretty good! 🙂 Thank you so much for stopping by Maggie! This is such a great review and a detailed description of the product – I really enjoyed it, hon. It’s so refreshing to read such authentic and “real” reviews and actually see how the product works. Just like your skin, mine goes super tight during winter and needs a lot more hydration than usually. This cream sounds lovely and definitely like something perfect for warmer months. Thanks so much for sharing, sweetie 🙂 I am always happy to discover new products & brands!